(Asheville Citizen-Times) The city should overhaul the police department before hiring a new chief, according to a group that represents officers across the state. 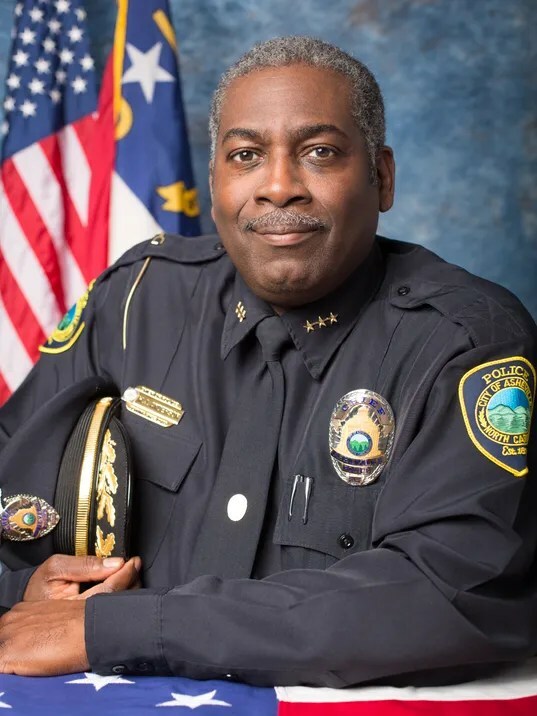 The North Carolina Police Benevolent Association also wants input on hiring a replacement for outgoing Chief William Anderson, its executive director, John Midgette, said Saturday. Mayor Esther Manheimer on Saturday said City Manager Gary Jackson would appoint an interim chief and start the process of finding a new chief. The city has said it will search nationally. Anderson, 58, announced his Dec. 31 retirement Friday after weeks of turmoil. His decision comes as state regulators conduct a preliminary inquiry into standards at the department. His decision to leave came about a month after a quarter of the city’s officers signed a petition saying they had no confidence in the department’s leaders. A Citizen-Times investigation into the department found allegations of on-the-job retaliation, an increase in officer resignations and administrative errors that led to officers using expired radar guns. Hundreds of traffic cases have been dismissed.